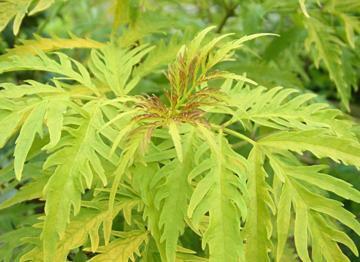 Large shrub with deeply cut, almost fern-like golden foliage, bronze tinted when young. Fast growing. Foliage does not scorch in strong sun as with 'Plumosa Aurea', but otherwise quite similar. Foliage is best if pruned hard in early Spring. Moist well drained soil in sun or part shade.